The RAC has been around since 1897 and has over 8 million members in the UK. The company provides a variety of services – from traffic and travel information, to roadside assistance and car insurance. Click the link to get a quote for Breakdown Cover from RAC or find out where it came in our guide to the best breakdown providers. RAC has two options for breakdown cover - personal (covers you as a driver or passenger in any vehicle) or vehicle only (covers the named vehicle, regardless of who is driving). Personal cover can be taken out by an individual, with another member of the household or as family cover for up to five people. It has a range of cover levels that can be selected in different policy bundles. Roadside assistance (fixing your vehicle at the roadside if it is more than a quarter of a mile from home) is included as standard and the cover can be upgraded to add Recovery (taking the policy owner, plus up to seven passengers and the car, to a destination of their choice anywhere in the UK), At Home (attending to your car if it breaks down within a quarter of a mile from your home, including the driveway) and Onward Travel (a courtesy car, hotel accommodation or alternative transport for the policyholder and up to seven passengers up to five times a year). If you select Roadside, National Recovery, At Home and Onward Travel as one bundle, you can get Free At Home and Free Key Replace with selected covers. The offer is only available to new members who purchase breakdown cover directly from the RAC website. You will be charged for this cover when the offer ends, see the RAC's site for all terms and conditions. Some of the cheaper bundles have a 5 callout limit, but the more comprehensive policies have no limit on the number of callouts you can make each year. Optional extras include European Rescue in 49 countries in Europe and Garage Parts and Labour up to £1,000 (Comprehensive Plus cover). RAC European Breakdown Cover is also available as an annual policy. Standard Cover – up to £1,250 per trip, up to £400 accommodation expenses and up to £400 to continue your trip, up to £150 for garage labour costs and up to £500 to get your vehicle back to the UK. Comprehensive Cover – no claims limit, up to £500 accommodation expenses and up to £1,500 to continue your trip, up to £150 for garage labour costs and UK roadside assistance and recovery up to £300 prior to departure. Comprehensive Plus - no claims limit, up to £1,200 accommodation expenses and up to £3,000 to continue your trip, up to £1,000 for garage labour costs and unlimited UK roadside assistance and recovery in the week leading up to departure. Click here to get a tailored quote for RAC European Breakdown Insurance. How much does cover from RAC Breakdown Cover cost? Personal cover starts at £59 and vehicle cover starts at £40 a year. RAC European Breakdown Cover starts from £6 for Standard Cover, £7 for Comprehensive Cover and £9 for Comprehensive Plus. What do RAC Breakdown Insurance customer reviews say? On Feefo RAC has over 1,300 reviews for the past year and is rated at 4.1 for both customer experience and product. On Reviewcentre.com RAC’s Breakdown Cover only scored 2 out of 5 stars and only 23% from over 450 people who left reviews said they would recommend it. What do RAC Breakdown insurance reviews from the experts say? Defaqto – the independent reviewer of financial products – gave RAC 5 out of 5 stars for its full UK cover and European cover, which means it is "an excellent product with a comprehensive range of features and benefits". Auto Express ranked RAC fifth in its list of the five best breakdown cover providers in 2014, with an overall score of 85.73%. RAC’s main competitor, The AA, is number four on the list, with a score of 86.29%. Find out where RAC came in our guide to the best breakdown providers. "Just insured my hound with you, so much cheaper and yet still comprehensive. Your website is incredibly easy to use too !! 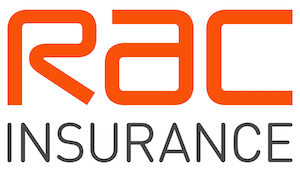 - thank you"
Get a quote for RAC Breakdown Insurance.